Abstract: A carbonate carbon isotope curve from the Aalenian–Bathonian interval is presented from the Óbánya valley, of the Mecsek Mountains, Hungary. This interval is certainly less well constrained and studied than other Jurassic time slices. The Óbánya valley lies in the eastern part of the Mecsek Mountains, between Óbánya and Kisújbánya and provides exposures of an Aalenian to Lower Cretaceous sequence. It is not strongly affected by tectonics, as compared to other sections of eastern Mecsek of the same age. In parts, a rich fossil assemblage has been collected, with Bathonian ammonites being especially valuable at this locality. The pelagic Middle Jurassic is represented by the Komló Calcareous Marl Formation and thin-bedded limestones of the Óbánya Limestone Formation. These are overlain by Upper Jurassic siliceous limestones and radiolarites of the Fonyászó Limestone Formation. 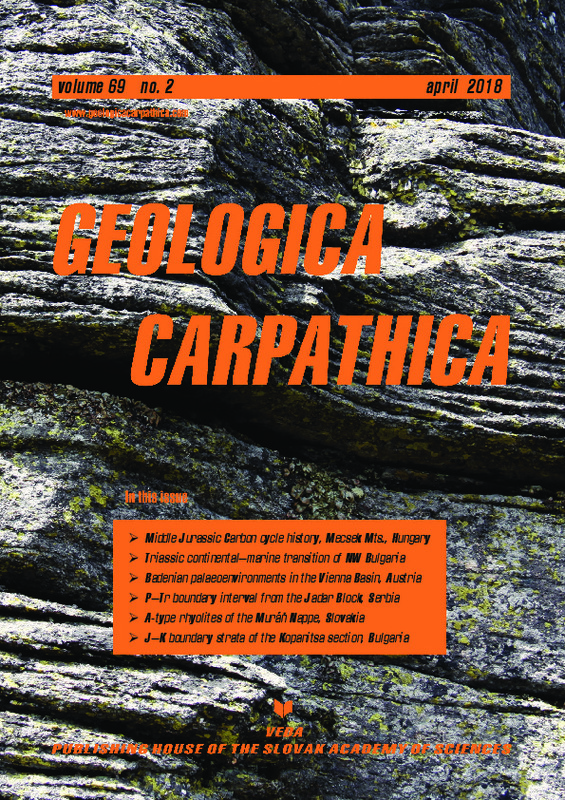 Our new data indicate a series of carbon isotope anomalies within the late Aalenian and early-middle Bajocian. In particular, analysis of the Komló Calcareous Marl Formation reveals a negative carbon isotope excursion followed by positive values that occurs near the base of the section (across the Aalenian–Bajocian boundary). The origin of this carbon-isotope anomaly is interpreted to lie in significant changes to carbon fluxes potentially stemming from reduced run off, lowering the fertility of surface waters which in turn leads to lessened primary production and a negative δ13C shift. These data are comparable with carbonate carbon isotope records from other Tethyan margin sediments. Our integrated biostratigraphy and carbon isotope stratigraphy enable us to improve stratigraphic correlation and age determination of the examined strata. Therefore, this study of the Komló Calcareous Marl Formation confirms that the existing carbon isotope curves serve as a global standard for Aalenian–Bathonian δ13C variation.